If a celebrity couple doesn’t attend a red carpet premiere, are they really an item? No! 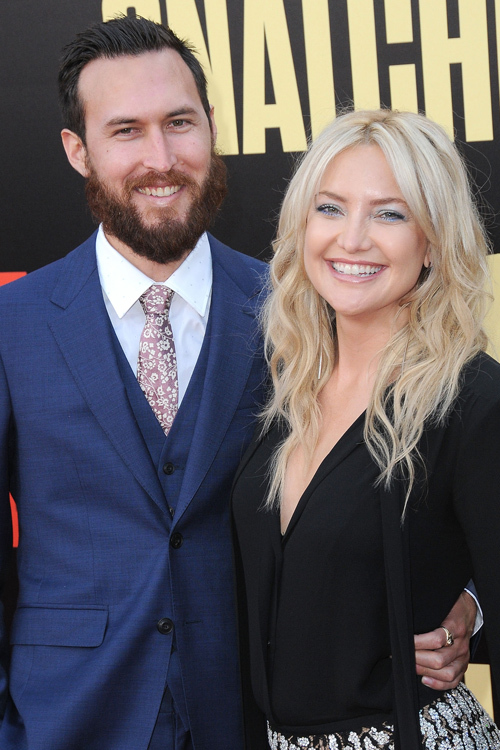 Luckily, Kate Hudson and her new BF Danny Fujikawa just made their relationship red-carpet official. On Wednesday night, the happy couple stepped out at the Los Angeles premiere of Snatched. The movie stars Amy Schumer and Hudson’s mother, Goldie Hawn, so of course, she had to be there to show her support. Technically the night was about the new comedy — which hits theaters on May 12th — but we can’t stop talking about this new power couple. Romance rumors began back in March when the duo was spotted in LA on a lunch date. Two months later, the couple is ready for all eyes on them, and a movie premiere is perfect for that. These two lovebirds sealed their first public outing with a kiss, and we are loving it. The Fabletics creator donned a sassy crystal-embroidered lace pant (by Michael Kors) with a fringed silk black blouse. The musician looked equally as dashing in his blue suit and purple flower tie. Seriously, these two are SO cute together. Of course, the night was about Hawn, and it is a mother-daughter movie, so Hudson cozied up to her mama on the carpet as well. Can we all just be a part of Hudson’s family and squad? Please?! 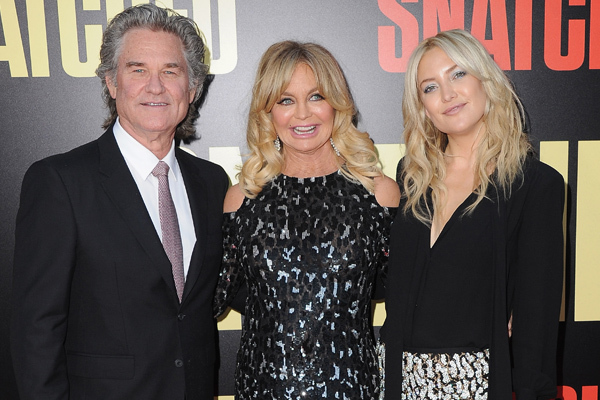 Kurt Russell was also in attendance at the Hollywood premiere, and we’re not worthy of this gorgeous family. Congrats Kate on your new romance, we’re rooting for you! PS: You can see Hawn in Snatched beginning tomorrow, so get pumped. It’s the perfect mother-daughter outing for Mother’s Day.